Over the last couple of years, Armenia, a poor South Caucasian nation, gained a global attention thanks to its unenviable corruption records. President Serzh Sargsyan, whose brother, ironically, even has a nickname 'Sasha 50/50',as he squeezes a half of profits of all businessmen - no matter whether it is a large or small business, announced a large anti-corruption fight. However, contrary to the latest statements of the government about “achievements” in fight against the corruption in the country, more and more officials waste budget funds collected from ordinary Armenians. Citing Foreign Minister Edward Nalbandian, who continues to spend millions on business class tickets, as an example, Armenian newspaper Haykakan Zhamanak doubts about the “achievements”. Recently the Armenian Foreign Ministry spent over $3,000 for a single Yerevan-Paris-Munich-Moscow-Yerevan ticket. Then the Ministry paid $2,000 for another ticket of the same route and $8,500 for six tickets of other itinerary. “The further we go, the more figures revealed – one ticket of business class for Nalbandian en route Yerevan-Paris-Geneva-London-Yerevan costs $7, 500,” the newspaper reports, emphasizing that it can show a countless number of such examples. But, corruption and waste of public funds do not limit to the Foreign Ministry. Vice-Speaker of the Armenian Parliament Hermine Naghdalyan is one of the old-timers of Armenian Parliament – she is sitting in the deputy chair since 1995 and has always been in the ranks of the ruling fraction of Armenia. However, the vice-speaker is also known to the public as a business, woman who earns several million dollars a year at the state’s expense, Armenian newspaper Zhoghovurd states. The newspaper found out from official documents that this year the company Sisian BUAT owned by Hermine Naghdalyan received a government order on road construction works at the cost of over 636 million drams ($1.3 million). “She and her husband Davit Beglaryan, managing the government affairs, have always hold office incompatible with business activity. However, the spouses annually receive an income of hundreds of millions of drams from their companies that exclusively engaged in the implementation of road construction- and other works carried out on government contracts,” the newspaper states. 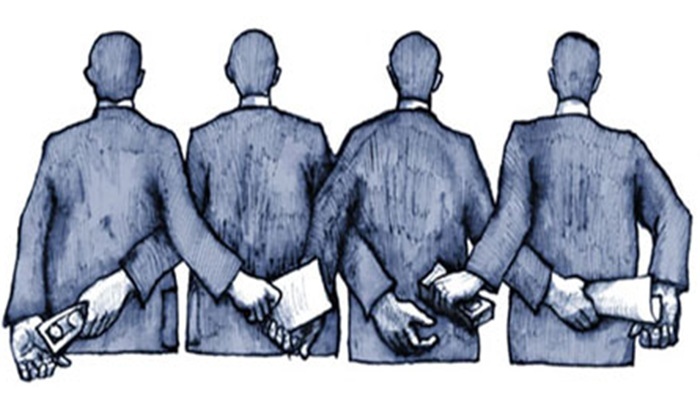 Local media believes that Yerevan’s failure to achieve a political stability is also connected to the damaging effects of corruption, which undermines the legitimacy of political leaders and public institutions, and thus the capacity of the state to realize any economic reforms. Corruption cracks Armenia's relations with U.S.